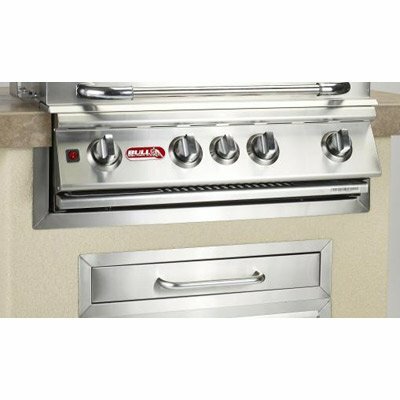 Improve the look of your island and get rid of rough edges around your drop in grill and counter top using the Bull Outdoor Products Stainless Steel Grill Finishing Frame / Trim Kit 30 inch stainless steel finishing frame or 38 inch stainless steel finishing frame. These beautiful trim kits give your custom outdoor kitchen that finished high-end professional look. 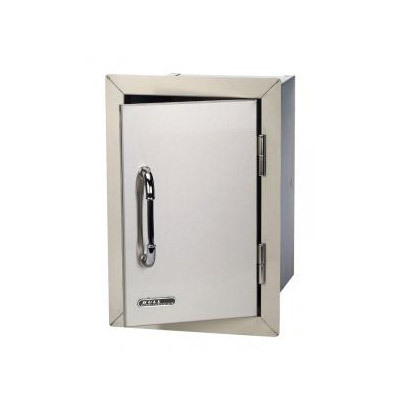 These are designed especially for the Bull Outdoor Products’ Built-In / Drop-In Angus Grill, LoneStar Grill, Outlaw Grill and Brahma BBQ Grills. The Bull Outdoor Products Bottle Opener features a catch that collects the bottle caps and provides a mess free way to open bottles with a flick of the wrist. The removable catch makes disposing bottle caps quick and easy. The Bull Outdoor Products Stainless Steel Ice Chest comes with a stainless steel cover and drain for easy cleaning. The Bull Ice Chest is well insulated and comes with a removable plastic condiment tray to protect heat sensitive food. 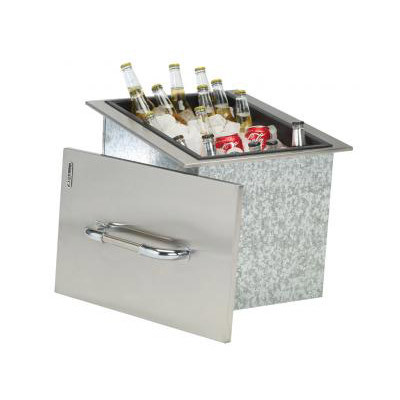 The Bull Outdoor Products Ice Chest provides easy access to drinks and ice need to keep your guest cool on the long summer days. 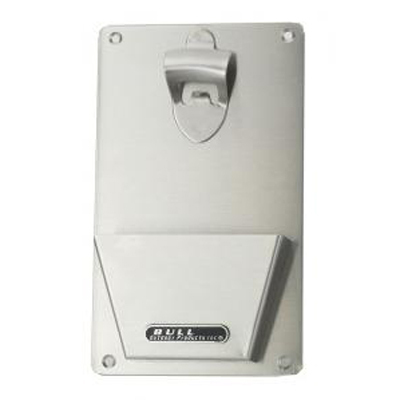 The Bull Outdoor Products Stainless Steel Paper Towel Holder has a fully enclosed design that keeps your paper towels clean and dry. The Bull Paper Towel holder with the pull out spool gives you easy access to paper towels when needed and out of sight when not required. 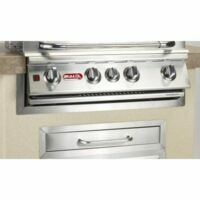 This is an important item for any complete outdoor kitchen. 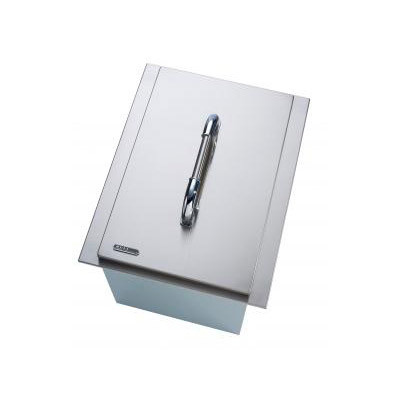 Bull Outdoor Products chopping board with stainless steel cover is a great way to add a cutting station / prep station to your outdoor kitchen. 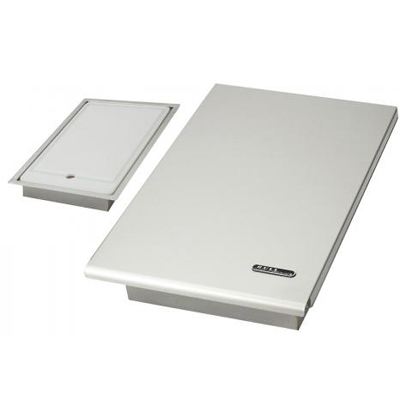 The cutting board is designed to catch liquids and prevent a mess. The handy drain the plug under the cutting board allows it to be drained quickly for easy clean up when meat and fruit juices start running off the board. 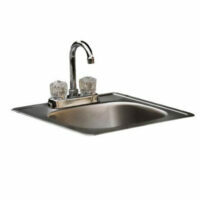 The Bull Outdoor Products stainless steel sink comes with a faucet featuring hot and cold water. 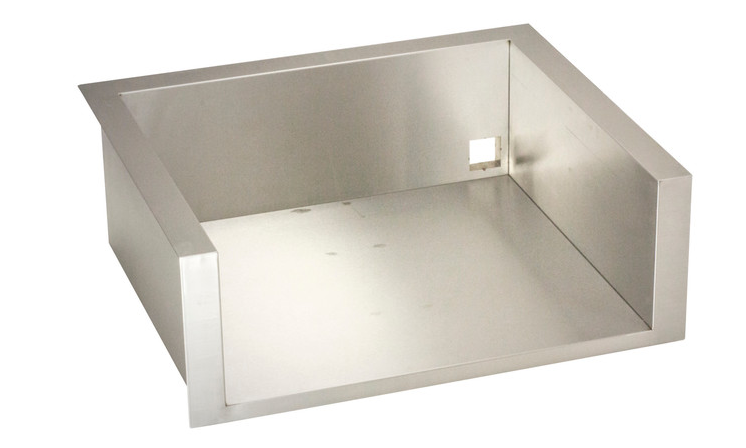 The sink is constructed durable stainless steel so it will hold up even when exposed to the outdoors. This handy sink adds convenience to your outdoor kitchen, so clean-up can be done grill side to keep your barbecue island clean. 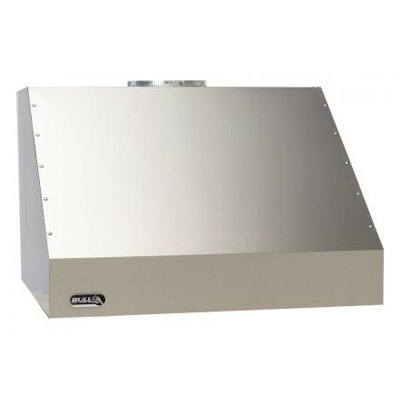 Bull’s professional grade stainless steel vent hood comes with heavy duty dual motors to properly vent your outdoor kitchen. These powerful motors can move an impressive 1250 CFM. The 2 speed fan system will provide the air circulation you need while cooking on Bull Outdoor Products high output grills. The twin halogen lights on the vent hood keep your grilling area perfectly lit. 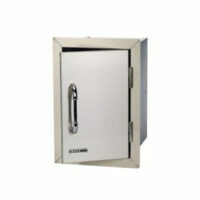 Two different size hood duct covers also available, please see below for details (sold separately).